Sometimes you just find the weirdest things on the Internet. Most of it isn’t appropriate for THIS site, but don’t worry…I only add content that is safe for work(SFW). One of the weird things I read today, was that Graham crackers were made with the intent to curb masturbation! And at the bottom of the wiki article, it turns out that the inventor of corn flakes had the same goal with his product…WTF? Don’t you feel better now that you have this bit of information? 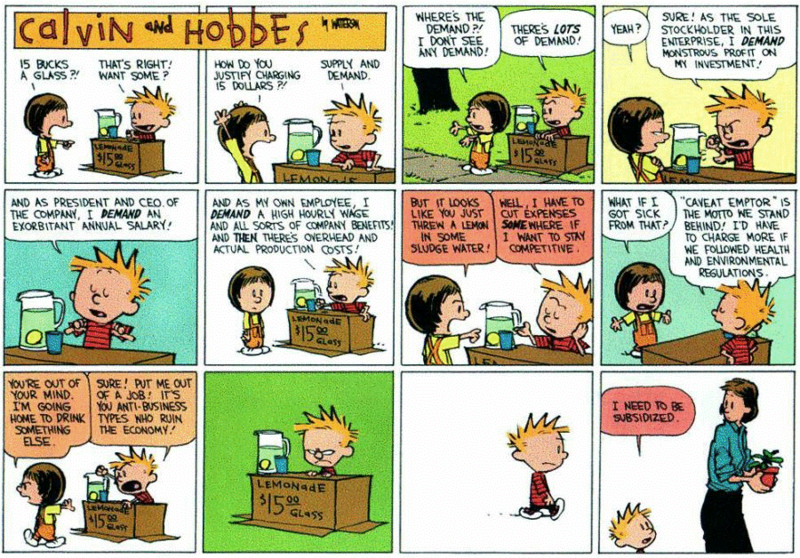 To finish, here is a great cartoon by Calvin & Hobbs, that summarizes our current state of affairs in the capitalist economies that we live in! Pretty awesome. Previous PostPrevious Have the January Blues? Here are some Pictures of the Day to cheer you up!